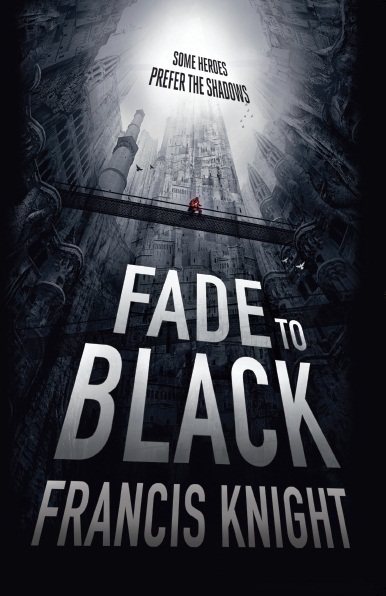 I’m totally loving the cover art of Fade To Black; it’s a gorgeous piece of work. I actually first came across this book on the Orbit blog where they did a post with the illustrator who did the cover art and it’s quite interesting to see the different stages the design went through. From the depths of a valley rises the city of Mahala. It’s a city built upwards not across–where streets are built upon streets, buildings upon buildings, A city that the Ministry rules from the sunlit summit and where the forsaken lurk in the darkness of Under. Fade To Black is available on Amazon.co.uk for £5.59 and on Amazon.com for $10.19.